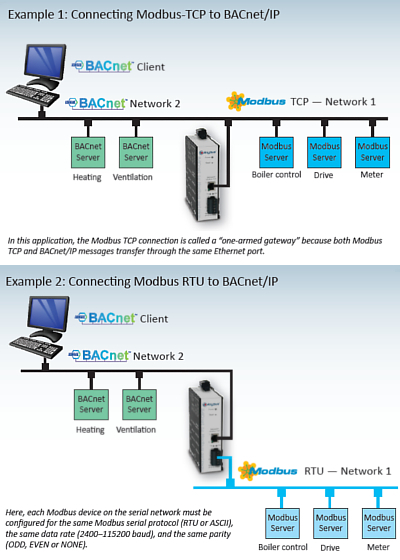 Handles conversion between Modbus(RTU, ASCII, TCP) and BACnet/IP. Manages ModbusTCP and Modbusserial simultaneously. Connects up to 30 Modbusserial devices to BACnet(processing up to 1000 Modbusregisters). Excel tool and instructions for creating ModbusDevice Profiles are available on Anybus.com. A resident web server allows for commissioning, and troubleshooting via a standard web browser. Comes in a rugged IP30 metal housing that mounts on 35-mm DIN-rail. A reset switch is provided for returning to the factory default IP address. 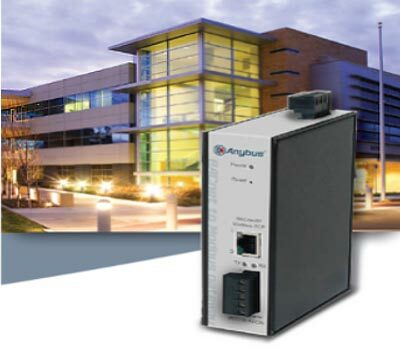 LED indicators provide communication status on both the Ethernet and serial ports.